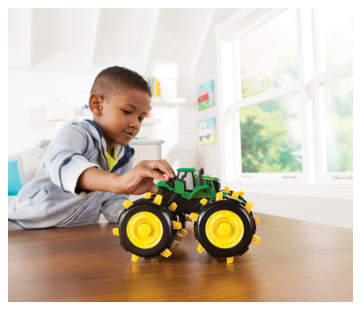 The John Deere steel kids wheelbarrow can handle all the gardening and hauling around the yard. A perfect fit for kid size chores. Features heavy duty steel construction, durable easy rolling wheel and vinyl hand grips.